One year ago today, Israel's bombing campaign and ground offensive into the Gaza strip—known as Operation Cast Lead—began. At least 762 innocent Palestinians who did not take part in the hostilities were killed, including over 350 child casualties, and vast damage was caused to houses, factories, and infrastructure in Gaza. At least 353 children were killed during and in the immediate aftermath of the operation; 116 were killed with precision missiles launched by unmanned aircraft and 66 died after Israeli forces obstructed medical access. The number of Palestinian children confirmed killed during Operation Cast Lead represents more than a third of the total number of children killed in Gaza since the beginning of the Second Intifada on 28 September 2000. At least seven children were used by Israeli troops as human shields; all seven were ill-treated while detained; one of them was detained for 10 days. 18 schools were completely destroyed, 260 schools were damaged and 26 children were killed while in, near, or on their way to/from schools. At least 3,600 homes were completely destroyed resulting in the displacement of approximately 10,500 children. in Beit Lahiya, 17 Jan. 2009. Israel has not yet instituted an independent apparatus to investigate the violations committed by the army during the operation, and nobody has been brought to justice. Those of us concerned with justice will not forget, and we will not be silent. Please see the following statement issued today 27 December 2009 by the Human Rights watchdog group B'Tselem—on the one year anniversary of the offensive. During the operation, Palestinians fired rockets and mortar shells at Israel, with the declared purpose of striking Israeli civilians. These attacks killed three Israeli civilians and one member of the Israeli security forces, and wounded dozens. 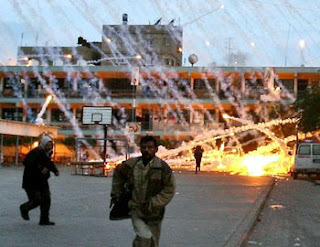 Nine soldiers were killed within the Gaza Strip, four by friendly fire (i.e. by fellow Israeli military). More than 100 soldiers were wounded, one critically and 20 moderately to seriously. When the operation ended, human rights organizations, among them B'Tselem, wrote to the attorney general, demanding that an independent investigation be established to examine the military's conduct during the operation, but were refused. In March 2009, the organizations repeated their demand, and following publication of the Goldstone Report in September 2009, were refused yet again. To date, no independent-investigation apparatus, which can also investigate the responsibility of the political and military decision-makers, has been established. As far as B'Tselem knows, 19 Military Police investigations have been opened into cases in which a suspicion arose that soldiers in the field violated army regulations. Only one soldier has been prosecuted regarding actions taken during Operation Cast Lead; he was convicted of stealing a credit card and was sentenced to seven months imprisonment. Your festival is an inspirational and insurrectional carnival of great style, sassiness and subversion—I was honored to be a part of it! We're blushing. The 2009 NY Queer Experimental Film Festival had to be one of our best. We had a greater turn-out than in recent years. We screened films and exhibited installations by artists throughout NYC, the country, and the world. And even in these troubled financial times, our box office saw a little boost from years past. But, did you know ticket sales cover less than 10% of MIX NYC's annual budget? Believe us, queer experimental film exhibition is not a lucrative business. So how do we do it? With the help of our generous community, of course. MIX is not only made possible by the tireless collaborative efforts of our all-volunteer staff, it also depends upon the good will of numerous individual donors. It may be hard to imagine that the costs of our annual festival are covered by pooling together small contributions of $20 here and $50 there. But it's true. We scrimp and save all year long, put aside spare change, and cut expenses left and right. Rumor has it, some people have even sold their own blood just to make sure MIX happens year after year. Why? Because MIX is unlike anything else in New York. As filmmaker John Geyson puts it, we are insurrectional. We promote and support subversive art. We love to challenge the mainstream. And most of all because we are queers who love to experiment! We hope you do too, and we'd like to ask for your support. Won't you please chip in too? Donations to MIX are 100% tax-deductible, and we need them to keep us going. And remember, the amount you give matters less than the fact that you contribute. It's the collective that keeps us strong. That's how we've done it for 22 years so far. Let's keep up the momentum and make MIX even more amazing next year. Do you know that HIV isn't spread by spitting, and that condoms are an effective HIV prevention tool? But this information seems to be outside the knowledge of many in the legal system across this country, where the criminal prosecution of people living with HIV often continues to ignore the facts. It's bad enough that the criminalization of HIV wreaks havoc in the lives of those who are charged or jailed or labeled as bio-terrorists, like this case in Michigan. But these cases are also spreading misinformation about HIV -- scaring people away from testing, treatment and care, and feeding into HIV stigma. TAKE ACTION: I have endorsed a letter that will be sent to the CDC by the Community HIV/AIDS Mobilization Project, Project UNSHACKLE, and the HIV Prevention Justice Alliance, urging the CDC to take meaningful action to end the criminalization of HIV/AIDS infection. Please join me in endorsing the letter to CDC asking them to keep their own promises to address HIV criminalization. Now we're on our sixth try, and the fight so far hasn't been a pretty one. The Republican side has been dominated by howling over death panels and socialism, transparently fake attempts at bipartisanship, and promises to filibuster and obstruct endlessly. On the Democratic side, activists have turned abortion funding and the public option into hills to die for, Olympia Snowe and Ben Nelson have become de factor kingmakers, and even at best none of the bills on offer will cover more than about two-thirds of the uninsured. But you know what? This is still the farthest we've ever gotten, and with Democrats coming out of this week's series of negotiating sessions seemingly united behind a compromise plan, it looks like Harry Reid might actually get something passed through the Senate before Christmas. If that happens, a conference committee will likely report out a final bill sometime in January. And that will be the first time ever that Congress has even gotten to the point of voting on national healthcare. The first time. 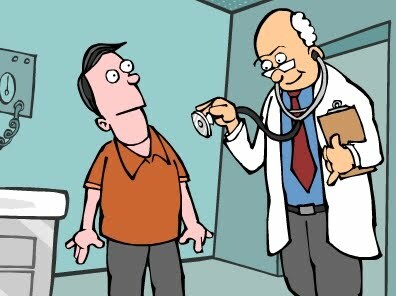 So yes: It's not single-payer. The subsidies are inadequate. The public option, if there is one, will be so weak as to be a joke. Every interest group from insurers to doctors to seniors to pharmaceutical companies has been openly bribed to go along. Lots of people will still be left outside the safety net. It's a mess. But so was Social Security when it passed. It left out domestic workers (because they were mostly black and Southerners demanded it), it left out farmworkers, and its payouts were pathetically small. But what it did do was establish the principle that the elderly should be taken care of. And eventually they were. The healthcare bill we're about to get is exactly the same: It does too little and it leaves too many people out, but it establishes the principle that everyone deserves decent healthcare. And eventually everyone will. So hold your noses and celebrate anyway. It's taken us a hundred years, but if this messy, inadequate, infuriating healthcare reform passes it will be a historic occasion. FDR will finally be smiling. Pass ENDA Now - No More Delays! Right now in this country, there is no federal legislation that protects lesbian, gay, bisexual and transgender workers from job discrimination - and that puts people at higher risk of poverty, lack of health care, homelessness and other factors that can increase vulnerability to HIV or progression to AIDS. But the bill that would end this discrimination - the Employment Non-Discrimination Act (H.R. 3017/S. 1584) - is being delayed in the House of Representatives! 22 national organizations just issued a joint release saying that this delay is unacceptable. Tell Congress to end the delay! Tell Congress to pass the Employment Non-Discrimination Act, now! Flood congressional offices with calls and emails! Call the U.S. Capitol switchboard at: (202) 224-3121. Give the operator your zip code and ask to be connected to your Representative. Then, after leaving your message, hang up and call again to be connected to your two Senators. My name is _____ and I live in (your city, state). I am calling in support of the Employment Non-Discrimination Act (H.R. 3017/S. 1584), to protect lesbian, gay, bisexual and transgender people from job discrimination. Job protections helps us fight HIV/AIDS so people have steady incomes and health care. Please pass ENDA immediately, without delay. I can be reached at _______ (provide your phone number and your street address). Thank you. Or send an email to your Representative and Senators by clicking here. It only takes a moment and your action can help shape the future!